There are unique methods of transportation to be found all over the world, and it all adds to the culture and experience of each location. Here is the list of 30 unique types of transport in the world. 1. Reindeer Sled in Lapand, Finland. Reindeer sledding is the oldest form of transport in the north, and an ancient part of Sami culture. People of all ages can participate on this very “soft” adventure. Trams are enjoying a comeback in France. From Nantes to Marseille, city planners are building new, high-tech streetcar lines as central elements in urban redevelopment. And they haven’t forgotten any of the French flair the world has come to love. Its full name is “Electric Elevated Railway (Suspension Railway) Installation, Eugen Langen System” (Anlage einer elektrischen Hochbahn (Schwebebahn), System Eugen Langen). It is the oldest electric elevated railway with hanging cars in the world and is a unique system. Greek tourism depends a lot from the Greek ferries as well as all kinds of other vessels like the catamarans and hydrofoils that connect the Greek islands. Aboard a traditional wood-carved gondola boat, look out for top Venice attractions such as Rialto Bridge and listen to Italian songs; it’s a must-do in Venice. The Monte Toboggans first originated in the early 19th century as Funchal´s first means of “downhill” public transportation. Presently and for a number of years now, the “Carro de Cesto” is used to transport tourists. Trolley buses in St Petersburg Russia are cheap and efficient, but also slow so they are not always a convenient way to get around the imperial city. An aerial lift is a means of cable transport in which cabins, cars, gondolas or open chairs are hauled above the ground by means of one or more cables. Aerial lift systems are frequently employed in mountainous territory where roads are relatively difficult to build and often found in touristic landmarks. The Tünel is a short underground railway line in Istanbul. It is an underground funicularwith two stations, connecting the quarters of Karakoy and Beyoglu. The Isle of Wight Hovercraft is the last remaining commercial hovercraft service in the world. It operates a regular timetable transporting passengers between Ryde and Southsea in Portsmouth, with excellent connections to both road and rail networks on either side. The Terra Bus wheeled vehicle is one of the few snow coach type vehicles currently produced. It is an all-wheel-drive, three axle, off-road bus which is specially constructed for use in Arctic climates by the Canadian specialty vehicle manufacturer Foremost, based in Calgary. Costa Rica is world-renowned for its canopy tours, also known as zip-lines. Imagine sailing through the treetops hundreds of meters in the air with a chance to spot some of the country’s diverse wildlife.Though many of Costa Rica’s national parks offer canopy tours, the best are in Monteverde, Arenal and Manuel Antonio. The Cuba coco taxis are some yellow cars, with small dimensions, can be seen inHavana and in Varadero. Madeline Island is the only one of Wisconsin’s Apostle Islands that is inhabited and it is connected to Bayfield on the mainland by ferry in the summer and by a two-mile ice highway in the winter when the waters of Lake Superior freeze over. However, during that transitional stage, when the ice is not strong enough to support a vehicle, the connection is serviced by ice boats with air propellers. A dog sled is a sled pulled by one or more dogs used to journey over ice and through snow. Several types of sleds are used, depending on their purpose. If you’re visiting Lake Titicaca, the Barco de Totora is a wonderful, unique method of getting across the vast and beautiful stretch of water. Passengers sit on a makeshift bamboo ‘train’ (basically just a bamboo platform) powered by an electric generator engine, perched just inches above the railway tracks and travelling at up to 40km/h. The train has actually exceeded 500kph in testing. It does the 19 mile journey to Pudong airport in 7 minutes! To span a distance of 7 km, Dubai Trolley will serve as an exotic, easy-to-access connecting link between the various iconic attractions in Downtown Dubai including Burj Khalifa, the world’s tallest building, and The Dubai Mall, the world’s most-visited retail and lifestyle destination. Often at the entrance there are a group of elephants you can ride and feed, convenient if you can’t be bothered going on a formal tour to one of the nearby elephant camps. Visitors may use rickshaws or taxis in Pakistan but riding tangah is a great experience. This is a kind of cart powered by one or two horses. Because of the wooden wheels, do not expect it to be comfortable ride but expect it to give a great experience. Habal-Habal, or Skylab, is the unique mode of transport where ten people can travel on the side of a two-wheeled vehicle and it is a common site in many areas of Mindanao, in southern Philippines. Tuk-tuks or ‘sam lor’ (three-wheeled) used to be everyone’s favourite way of getting around Bangkok before the BTS, MRT and colourful taxis took over. 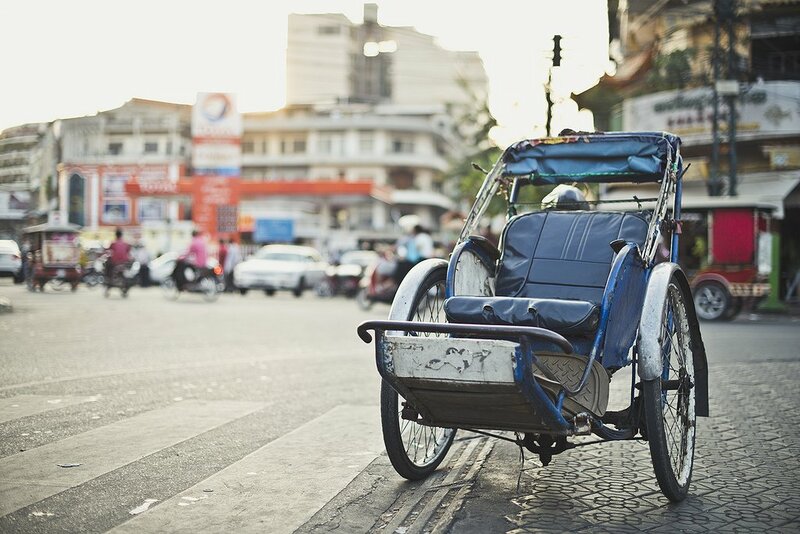 The cyclo is a three-wheel bicycle taxi that appeared in Vietnam during the French colonial period after a failed attempt to introduce rickshaws. A double seat (for Vietnamese – an average foreigner would find riding with a companion a bit of a squeeze) is supported by the two front wheels, with the driver sitting behind. Experience fully the power of the mighty rivers of Queenstown on a jet boat ride that will have you gripping the handrails in sheer exhilaration as you are taken on the ride of your life. A matatu is usually a minibus or some such form of public transportation in Kenya. Away from the cities, the matatu transforms into a pickup truck, with a cover on the bed. A felucca is a traditional wooden sailing boat used in protected waters of the Red Sea and eastern Mediterranean including Malta, and particularly along the Nilein Egypt, Sudan, and also in Iraq. When the American troops pulled out of the Philippines at the end of World War II, surplus jeeps were left and the locals stripped them down and added roofs for shade. This vehicle has then transformed into a vehicle for public transportation. It is still used and still the popular way to go around cities.